Today I arrived in Managua after a long trip which consisted of two four-hour plane trips, a four-hour layover, and a three hour delay in Houston. There are no direct flights to Nicaragua from New York. I was ready for such a long journey but as soon as we got to the hotel, I was fast asleep with no desire for dinner or anything. 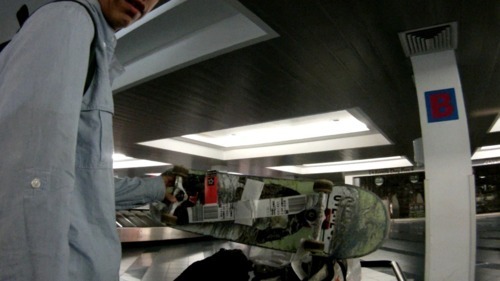 The high point of the trip: to know my skateboard arrived in one piece!